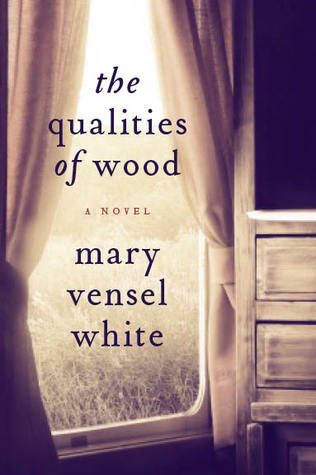 We are thrilled to welcome Mary Vensel White, whose debut novel launches in just a few days on June 17! Called “a haunting and provocative debut” by Christina Baker Cline, author of Orphan Train, The Qualities of Wood is a novel about secrets. Family secrets. Community secrets. And secrets between lovers, past and present. And all of these secrets have their price. When Betty Gardiner dies, leaving behind an unkempt country home, her grandson and his young wife take a break from city life to prepare the house for sale. Nowell Gardiner leaves first to begin work on his second mystery novel. By the time Vivian joins him, a real mystery has begun: a local girl has been found dead in the woods behind the house. Even after the death is ruled an accident, Vivian can’t forget the girl, can’t ignore the strange behavior of her neighbors or her husband. Mary joined us in blogging about ways to stay creative this week, and her publisher’s offered to send a copy of The Qualities of Wood to one lucky commenter (details at the end of this post). Welcome, Mary, and thank so much for sharing your wisdom on drawing inspiration from daily life. I don’t know what your life looks like, on paper, but my dance card is pretty full on a daily basis. Four kids to feed, clothe and shuttle around, two dogs to be walked, a house to maintain, a husband, appointments for all listed above, events, phone calls, birthdays, school forms, bills to pay, exercise, etc., etc., etc. Once in a while, someone even wants me to talk to them. So for me, finding time has always been more difficult than finding inspiration, and lots of helpful articles for writers do focus on time management: creating and enforcing a writing schedule, getting your derriere into the chair for an appropriate amount of time on a regular basis, avoiding a myriad of distractions. But what about the inspiration and deep thoughts, those helpful missives from your muse? What if, by the time you collapse into your writing chair after rushing to three appointments and dragging the dogs around the block, nothing, I mean nothing comes? For me, staying creative is related to keeping a balance between looking inward and opening outward. With our information-addled, multi-tasking minds, we have to find opportunities to still the waters and just think. Sometimes I feel like the novel I’m working on is kept in a vaulted chamber in my brain. Once in a while, I may crack open the door and shove something in—an overheard tidbit of conversation, a connection I’ve made, an idea—but then I close it again and rush off to the dentist or the little league game. The times when I’m able to open the vault, step in and spend some quality time, are few and far between. How do I manage to quiet the noise and look inward? Sometimes a long walk (even with dogs) will clear the flotsam and allow some focus. Removing myself from the computer, my desk, the house. A long drive. Sitting in the backyard. A run. I like to go someplace quiet with a notebook and just make stream-of-consciousness notes. Block out all the noise and really focus. And this “opening outward,” what’s that about? I find that without a steady influx of new stimuli and fresh experiences, I don’t have much to think about. I mean, no one wants to read a story about a mother’s trip to the sporting goods store (again). So I’m always feeding the machine: reading, reading, reading. All sorts of things. And I watch movies, listen to music and occasionally, attend a play, a sporting event or a show. Traveling, spending time with people, seeing new things. Basically, living. Writers, being the reclusive and mostly introverted species we are, sometimes forget to engage outside of our minds (and homes). If you’re struggling with something you’re writing, breaking up your routine is always a good idea. Do something outside of your comfort zone. Read something very different from what you normally read. Spend time talking to someone, in detail, about anything. Slow down, watch and listen. As I said, currently I have many more ideas than I have time to finesse them. Creativity, for me, stems from keeping an active mind and taking the time to indulge it. But for now, there are towels to fold and a tri-weekly grocery store visit that can’t be delayed (they never stop eating!!). That’ll be me, pausing for a deep thought in aisle three, right between the pasta and the canned soup. Please just walk around. What are your favorite places to slow down, watch, and listen to life around you? GIVEAWAY! Comment on this post by noon EST on Friday, June 20th, and you’ll be entered to win a copy of THE QUALITIES OF WOOD! U.S. contestants only, please. Follow The Debutante Ball on Facebook and Twitter for extra entries—just mention that you did so in your comments. We’ll choose and contact the winner on Friday. Good luck! Mary Vensel White was born in Los Angeles and raised in Lancaster, California. She graduated from the University of Denver and lived for five years in Chicago, where she completed an MA in English at DePaul University. She lives in southern California with her husband and four children. The Qualities of Wood is her first novel. 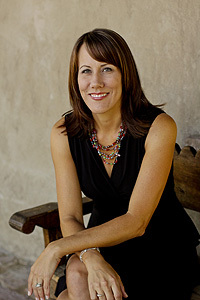 Find her online at her website, or on Facebook or Twitter. This sounds like a great read—thanks for the opportunity to win a copy! I was captivated with your outlook and life. Your an inspiration and very creative to manage your time and your writing. When I want a break I walk in the foothills, The sunshine, blue skies, warm temps and scenic beauty soothes my heart and soul. Great thoughts here on keeping our creative tanks filled. My favorite way to recharge is by taking a walk in the woods or a trip to the ocean. Thanks for the giveaway! I’ve been looking forward to reading this one. Great post, Mary! Thanks for posting with us at the Ball! Oh, I wish I were eligible for this giveaway! Your book sounds fantastic, Mary! Thanks for joining us today. I love secrets — family secrets, layers of secrets, secrets spreading in all directions (KILMOON’s all about that). Sounds like a perfect read for me .twitter follower rhondareads face book follower. Welcome to the ball! This novel seems right up my alley. I love a good mystery with some complicated family dynamics woven in. So excited to have you at the Ball, Mary! And so close to your launch—extra fun! Thanks to all for the lovely comments and for welcoming me to your blog. I enjoyed writing this piece–it serves as a reminder to me about what’s important! When life becomes too much I love to escape to the beach. This occurs perhaps once a year for a week but this special setting does wonders for my physical and mental well being. Walking along the shore is a panacea for all my ills. The Qualities of Wood is enthralling.